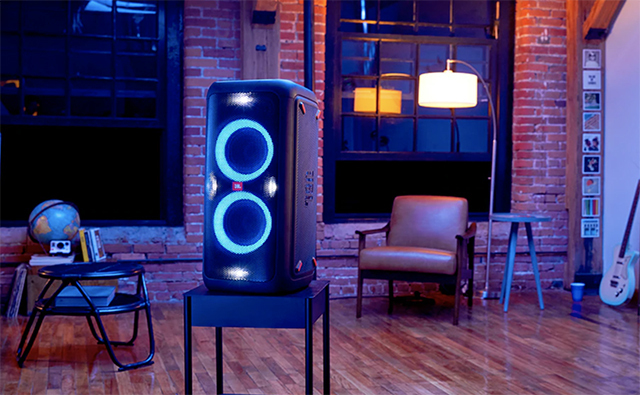 Popular audio brand JBL has introduced two new high-powered speakers in India that will light your parties on fire. 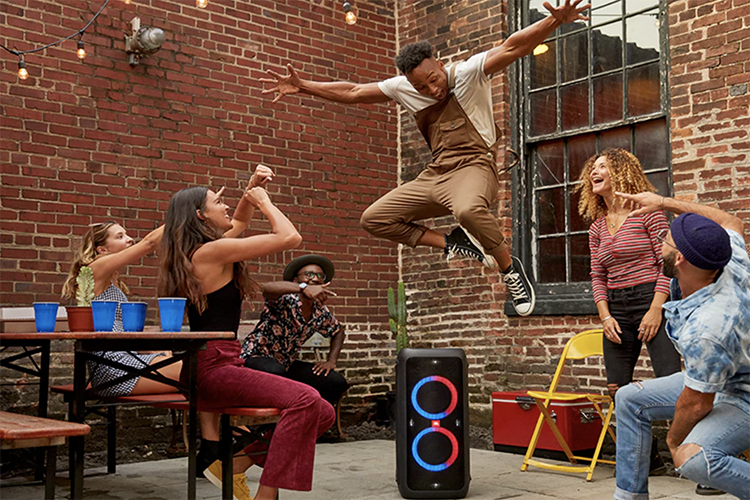 The JBL PartyBox 200 and PartyBox 300 with special synchronized ring-shaped lighting and wireless audio support so that you can focus on your dance moves and calling dibs on the last slice of pizza instead of worrying about the sound setup at the party. 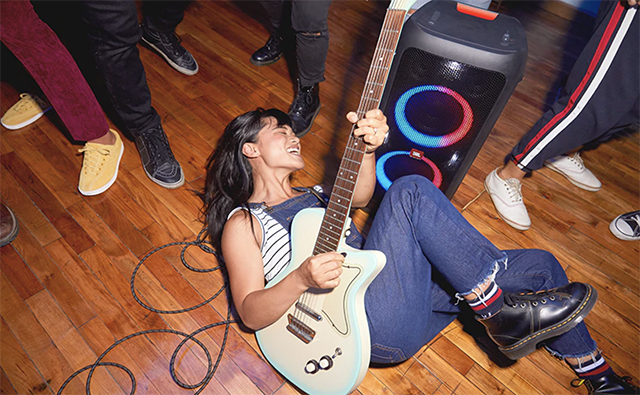 Both – the JBL PartyBox 300 and PartyBox 200 – support True Wireless Stereo (TWS) which allows you to connect two Bluetooth speakers and use it in a stereo configuration, for a louder and better sound output for larger gatherings. Besides wireless connectivity, the two speakers also support playback through USB so that you can play your media directly using thumb drives. For entertainers and musicians, both JBL PartyBox 200 and PartyBox 300 support 6.35mm inputs so users can plug instruments or microphones into the speakers directly. JBL PartyBox 200 and 300 are equipped with three 2.25-inch tweeters and two 6.5-inch woofers to create an engaging ambient audio experience. Both of these also have identical dimensions and come with handles so that carrying the 16kg loudspeaker is not tedious. Out of the two speakers, the JBL PartyBox 300 comes with a 75Wh Li-ion battery for truly wireless playback while you’ll be required to hook the PartyBox 200 to a wall socket for AC input. Additionally, both speakers also support 12V DC input so you can attach them to an external rechargeable battery. Those who prefer to spend slightly extra for the truly wireless experience which the PartyBox 300 offers will be able to enjoy continuous playback for a period of 18 hours. The 10,000mAh battery takes 5 hours to charge fully but there’s no doubting that you wouldn’t mind spending that time while prepping for a party. JBL PartyBox 200 is available for a price of Rs 27,499 while the model with an inbuilt battery can be bought for Rs 31,999.